Following the tragic breach of the upstream tailings dam, “Dam 1” at Vale’s Córrego do Feijão Mine in Minas Gerais, Brazil, MiningWatch Canada is concerned about the state of Canadian-operated tailings dams in Brazil. According to the GRID-Arendal Report and an independent panel report following the 2014 Mount Polley tailings disaster in Canada, “upstream” or “cascading” dams are the most dangerous. This design builds dams inwards, with upper levels added partly on top of accumulated tailings, not a solid engineered base. Indeed, recent examples of catastrophic mine spills have come from these kinds of dam structures. MiningWatch has identified at least 65 Canadian-owned mining projects in the prospecting to production stage spread out across Brazil. The majority of these mines and projects are gold mines, but also include other minerals such as nickel and graphite. Of these 65 projects, fifteen are in production, and another five are in development or construction. MiningWatch contacted the companies with mines beyond post-feasibility stage, requesting they identify the dam-type present at or planned for their mines. Out of the nine companies contacted, responses were received from six. Three out of the six companies that responded are still storing wet tailings, but are using a variation of downstream and centreline construction methods. The other three are using dry stacking tailing storage. The silence on the part of the three Canadian companies that have not yet responded is alarming. Between them, these companies have six operating mines and one in temporary suspension. Jaguar Mining’s (TSX- JAG) Cayete Complex in Minas Gerais (the State where both the Brumadinho and Mariana disasters occurred) houses two producing mines a mere 40km from the urban centre of Belo Horizonte. Its Turmalina mine is also in Minas Gerais. Aura Minerals (TSX-ORA) has been silent on its Pau-a-Pique and São Francisco mines. Finally, and potentially most concerning, is Yamana Gold (TSX-YRI). Yamana currently has two operating mines in northern Brazil, the Jacobina (gold) and Chapada (gold-copper) mines. The mines are large: Jacobina has a daily mill capacity of 6500 tonnes and Chapada has flotation plant capacity to treat up to 22 million tonnes annually (over 60,000 tonnes/day). How Canadian-companies store their tailings are of significant concern for us, making Yamana’s silence even more worrisome. With the shadow of the Mount Polley disaster looming in our own country’s recent history, there is definite need for Canadians to reflect on what our companies do at home, and abroad. 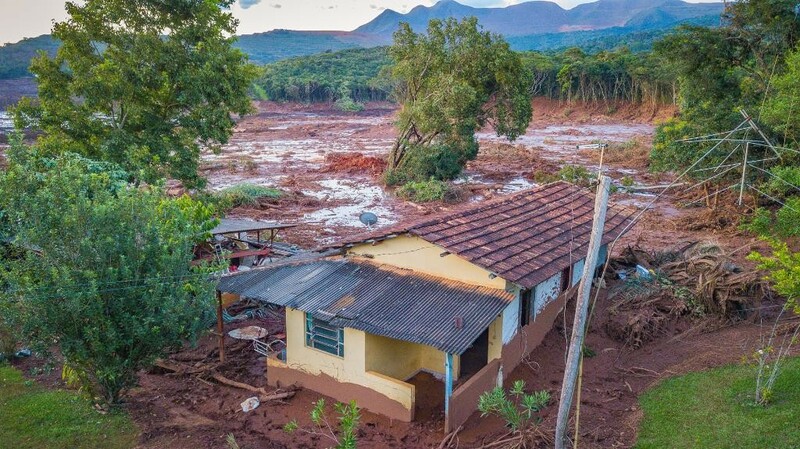 As Brazilians attempt to sift through the debris of the most tragic spill the country has experienced in terms of human cost, we worry that a Canadian-owned mine could cause the next disaster.